Well, actually, it was that thing I just spoke about. Being able to generate revenue without having a product, without having to do customer service, no inventory, no shipment, no processing, no headache. Nothing. I mean especially we're talking about ClickBank so; you know you're looking at being able to generate a substantial portion of the sale, 30 to 50%. In some cases, I've seen ClickBank give like 90% commissions. For not having a product. I mean you don't have to do anything. All you're simply doing is letting someone else do all the hard work for you, you just need to promote the traffic and get the sale. It's a great way to start on the internet. Note how I say "start", I'm a big advocate of "don't place all your eggs in one basket". So look at me, yes, affiliate marketing is still a big part of my life. But I'm a merchant as well. I have programs; I have websites where I sell my own products. But I always tell someone that if you want to start on the internet, you've got to start through affiliate marketing because that's the amount of risk. You don't actually have to invest in the creation of a product. You don't have to invest in getting your own payment process set up, and all those headaches. Learn how to do it through affiliate marketing. Then once you know how to generate traffic and promote conversions, now you're free to go out and make your own products at that point, because you took out a big part of the risk. 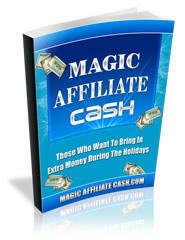 How much do you make now, just as a ClickBank affiliate? You know, I got to tell you, it actually varies. I'll give you a perfect example. Last month, there was a couple of different products that came out that were launched, so we did, you know, actually there was one main one and then another one. 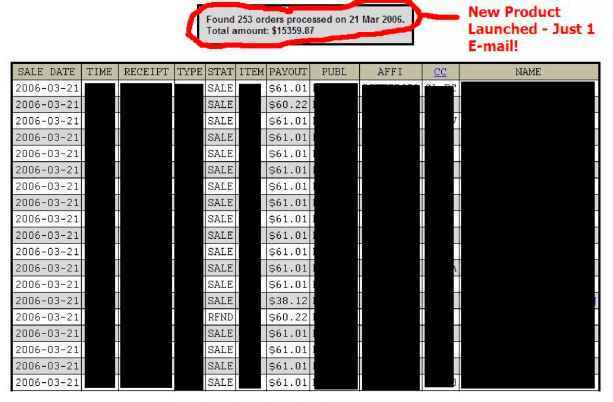 So I did, it was a nice month for doing that buzz marketing and I generated over $32,000 for just one month through ClickBank. But on an average, you know on a worse case scenario, I might make between 10 and 15, and like I said on a particularly good month, where some of the merchants that we promote come up with new products or come up with new programs, well you know, we might top 30.